CHICKASHA, Okla. (AP) – Officials in central Oklahoma say the body of a teenager with a gunshot wound in the chest has been recovered from behind a restaurant. Law enforcement officials responded to reports of a shooting at about 3:30 a.m. Monday in Chickasha, about 37 miles southwest of Oklahoma City. 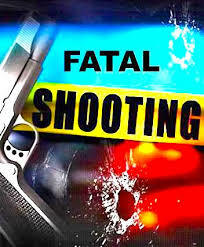 Chickasha police say the body of 18-year-old Arnold Adams III was discovered behind a restaurant with a gunshot wound. Emergency medical personnel were called to the scene but Adams was pronounced dead. Lt. Scott Weaver with the Chickasha Police Department says the Oklahoma State Bureau of Investigation has been asked to investigate the shooting.